From smaller startups to 80 year old companies seeking a refresh, we’ve been fortunate to shape a lot of brands at Zeus Jones. But for us, working with Thinsulate insulation from 3M has been a completely new experience. Thinsulate insulation is the insulation that is put inside of jackets, hats, boots, gloves, and blankets to keep you warm. But because it’s an ingredient used in the products of other brands, brand recognition can be a challenge. Many people own various products with Thinsulate insulation and are not even aware. Your Burton jacket might be lined with Thinsulate insulation, but Burton is the one marketing the jacket, not 3M. To try and address this we had two primary audiences to consider, the brand customers and the consumers. Working with an ingredient brand proved to have different challenges and opportunities than our typical client. 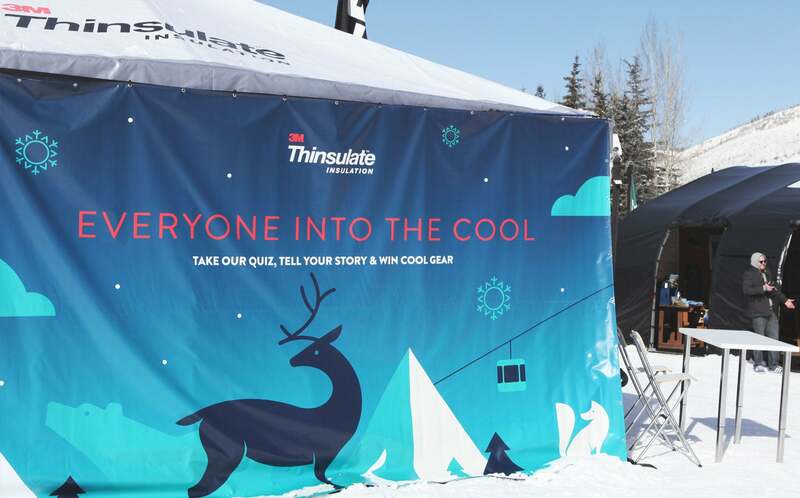 To increase brand recognition, Thinsulate insulation has been growing its presence at events like the US Burton Open. They’d had success at the event in previous years, but this year they came to us wanting to do something different. So without hesitating, we packed our bags and flew out to Vail, CO to attend amazing outdoor concerts, eat delicious food, and of course watch the world’s best snowboarders compete. For the Thinsulate insulation event presence, we had a 20×20 foot tent, a limited budget, and some pre-determined giveaways. Another challenge was creating a design language that fit well within the Burton Open environment, and aligned with the look and feel of the brand. Not every Thinsulate insulation consumer is the adrenaline junkie training to climb Mount Everest- it’s the weekend snowboarder, the hunter, the worker, the family of four. With this in mind, we worked in close collaboration with the client team to build the event around what we knew about the Burton Open attendees – that they love the cold! Thinsulate insulation provides the tools necessary to get outside without the burden and worries of being in colder climates or situations, so we knew whatever we did at the Burton Open needed to reflect that. With our event strategy set we moved forward with the design language, figuring out the best way to embrace the attendees’ love for being outdoors despite the climate. We established a bright color palette that also utilized red and blue to emphasize 3M as well as represent hot and cold. We ended up with a fresh, youthful booth that was all about embracing experiences out in the cold. We created a set of modern winter characters that complimented the color palette and livened up the space. We also lined the entire tent with Thinsulate insulation, so event guests could see how well the product works. The inside of the tent was walled with Beetle Kill Pine which made the space feel more inviting and was also affordable. One of the biggest executions was the central product pillar. 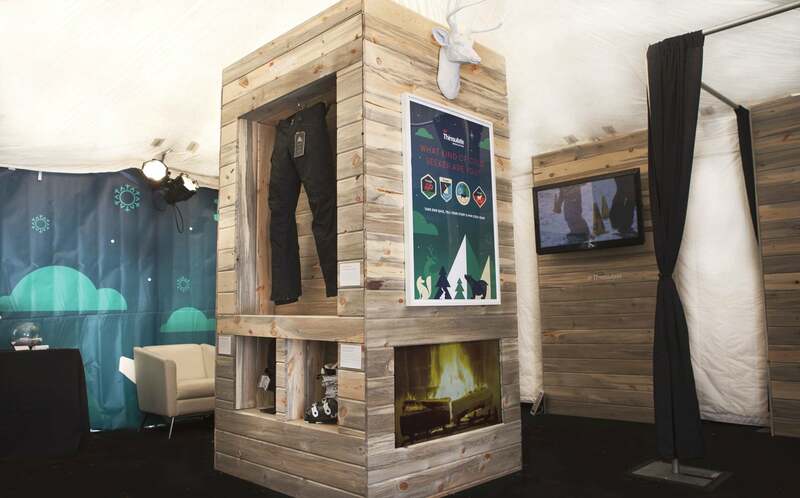 We built the 4-sided gallery-style pillar so that we could display products that feature Thinsulate insulation and educate about the product without disrupting traffic flow in the tent. On one side of the tent, we had free hot chocolate and a video booth where we had people filming visitor’s favorite stories from the cold. On the other side, we had iPads with a “Cold Quotient” quiz which visitors could take to find out their cold character profile. Visitors that took the quiz received a sticker with their profile on it. Throughout the event we gave out hats incorporating Thinsulate insulation and the illustrated badges, as well as daily Burton giveaways. The event was a big hit. The new designs were super well received and people were excited to take the Cold Quotient quiz. www.trandict.xyzWe heard from various visitors that the Thinsulate insulation tent was the “nicest/best/warmest” spot in vendor village. The giveaways were also a big success, and we saw various people proudly wearing their cold quotient sticker on their winter gear. It was a combined effort to pull this off, and we had some great partners helping us along the way. We’ve enjoyed incorporating what we’ve learned from the event as we continue to work with Thinsulate insulation from 3M. Look out for more designs and activations soon! 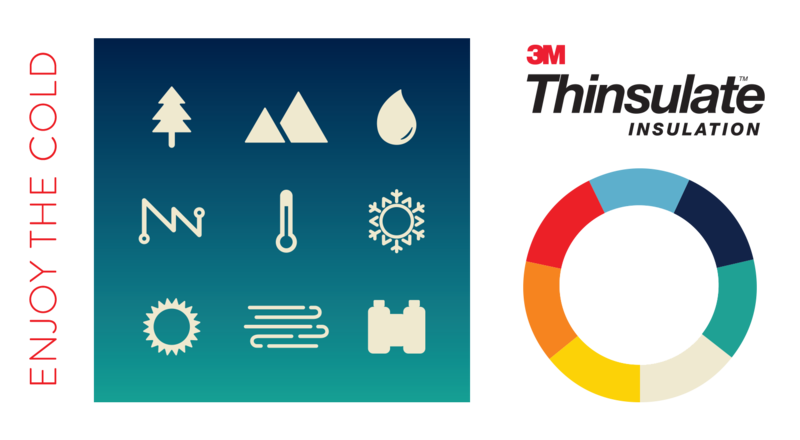 3M and Thinsulate are trademarks of 3M, used under license in Canada.